Maximo presents a unique fusion of future R&B, hip hop & soul. 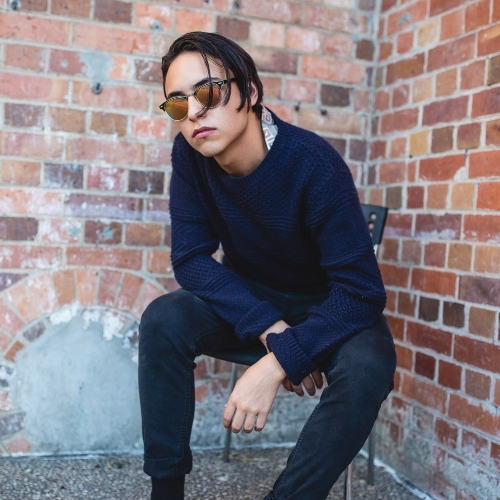 Establishing himself as a songwriter, producer, vocalist and keys player, the young Brisbane artist is quickly emerging as a musical all-rounder. It’s his ambition to combine tasteful musicality & smooth R&B harmony with solid hip hop production, to create songs that are – from start to finish – unmistakably his own. Currently working as a songwriter, producer, university lecturer and gigging musician, Maximo’s experience in the music industry is varied and this continues to have a big influence on the diverse music that he is able to create. He admires and takes influence from artists such as Miguel, Jeremih, The Weeknd, Stevie Wonder, Frank Ocean and Childish Gambino. A simple aspiration and passion drives him forward; to be real and to pursue his love for music. Maximo uses his songwriting & production to say the things he’d dare not whisper out loud.